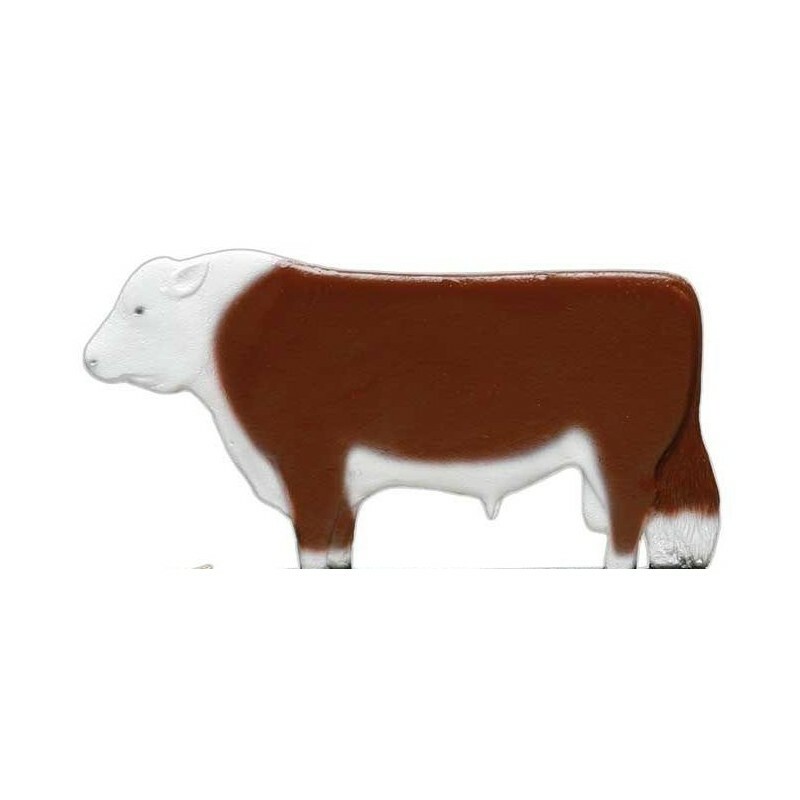 The Hereford/red Bull Weathervane by Robbins is made of beautifully painted cast aluminum which never rusts. It is a heavy duty working weathervane. 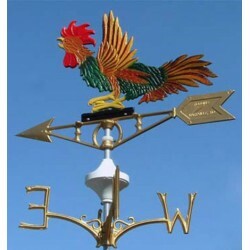 The instructions included with each weather vane provide easy and fast installation. Will look beautiful on your barn, shop, home, stable, fence or posts. Ornamental globes/balls sold separate! 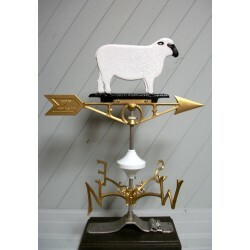 Complete Weathervane Kit. Mounting brackets and screws are included. Cable and hardware to ground your vane are not included. Decorative, realistically colored Robbins Metal Craft Weather Vanes feature hand-painted cast metal animals, 19" gold-painted arrow, unbreakable spacer, and gold-painted directional indicators. The coloration and design of the animals is especially eye-catching. Universal mounting bracket fits roofs of any angle. Hardware included for quick and easy assembly. Arrows and compass sets come gold colored. 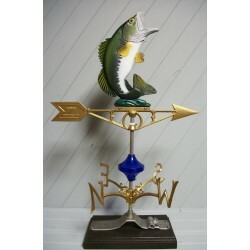 Weather vanes are approximately 19" wide and between 23" & 35" depending on the ornament.